The Pleiades, as most inhabited planets have two (or more) suns. Earth is an exception. We have only one sun, this is why tilting is necessary. According to the scientists the tilting angle of the earth was 40.000 years ago 28°. 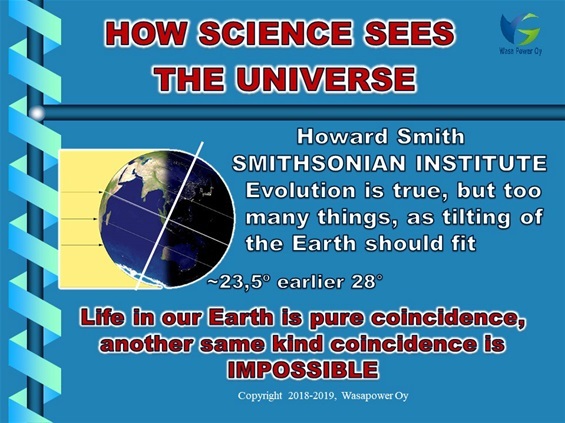 Science thinks that the tilting angle has changed because of a COINCIDENTAL collision of a big planet. My own small notebook tells that the mantel of the earth has turned both 13.000 years and 5.000 years ago when the swarm of meteorites impacted the earth. Meteor strikes were more common in those times. The later impact took the angle of the earth to a REALLY COINCIDENTAL optimum angle of the 23,43695°. More precisely around the 10th of May 2807 BC. Following dust cloud was enormous and resulted huge rains all over the world. This is the story of the Noah`s ark and the Flood. Universe is like Möbius toroid. The Universe is on both inside and outside of the toroid. Multidimensional physics is different from our 4D physics. It seems to allow for objects (and light) to be in two places at the same time. 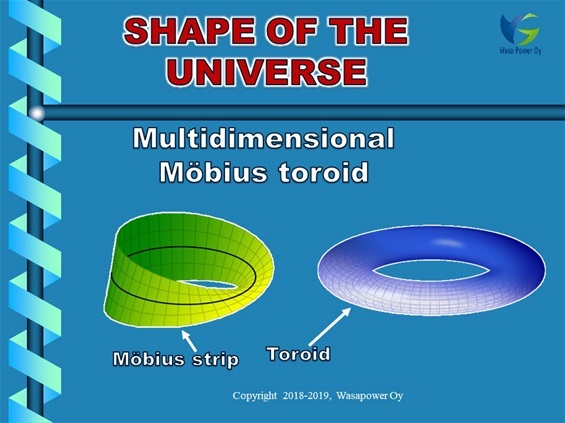 It is impossible to draw Möbius toroid in 4D. The Universe is constantly destroying old and creating new matter (balancing itself) - looks like red shift. Big Bang has never occurred. In 4D scientists are talking about long distances in space, thousands of light years. 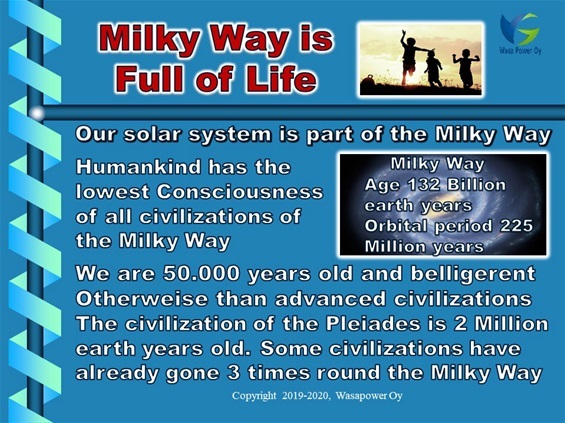 Principially they are right, BUT…time and the speed of light are variable. Time is different in different parts of the Universe. Light is controlled by the time. Every time window creates different speed for the light. Because time and the speed of the light are changing via gravity and magnetism, distances, looking like light years, are in multidimensional Universe short. Dimensional shift may happen instantly through the wall of the toroid.